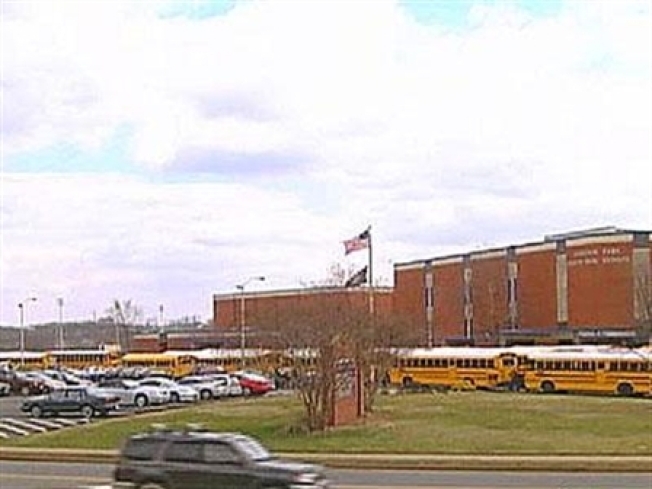 Prince William County is looking for a couple good names for an elementary school in Bristow. The Examiner reports that the school board has asked for suggestions for a name for the school to be built at 8301 Linton Hall Road. They're looking for a name that honors a person of local, state or national significance or names that are geographical or historical in nature. Since Barack Obama Elementary School is already taken, the best name may be a local contribution. Fortunately, Prince William county has plenty of famous former residents to draw from. Prince William County could honor Karl Rove for his contributions to political strategerie. Rove was one of George Mason University's more famous alumni, even back when he was in school. In 1973, during his first year of attendance at George Mason -- the same year he became executive director of the College Republicans -- it came to light that he had used dirty tricks to discredit Democratic candidate Alan Dixon, who had run for Treasurer of Illinois in 1970. Rove's more recent contributions to the culture are, of course, better known. Politics aside, though, Rove might not be the best inspiration for elementary school students. Rove first attended the University of Utah, then bounced to George Mason and finally wound up at the University of Texas at Austin -- but remains a math credit and foreign language short of a degree. Looking forward, Prince William County could get ahead of the curve by naming the elementary school after current Virginia Attorney General and conservative rising star Ken Cuccinelli. On Sunday, the Washington Post described Cuccinelli as a "clear favorite" in the inaugural Virginia Tea Party Convention -- where he crossed the Republican Party and drew applause from the don't-tread-on-me set. But there are altogether less controversial picks and potentially more inspirational ones. Prince William County could honor one of its great recent athletic achievements by naming the school after Lamar Butler -- cousin to former Wizards star Caron Butler -- who led the George Mason Patriots in their historic 2005–06 run to the Final Four. He still holds the 3-point record for the school. A dowdier but nonetheless honorable pick would be to name the school after one of the Poets Laureate of Virginia. Joseph Awad is the most prominent of this august bunch, known in particular for his contributions to the mid-Atlantic area. He contributed to both the The New Virginia Review and the Virginia Writers' Club. Before his death last year in Richmond, where he settled, he had served as president of the Poetry Society of Virginia and was inducted into the Virginia Communications Hall of Fame. A student at the Corcoran School of Art, Georgetown University and George Washington University, Awad seems to have received his education everywhere but in Prince William County. There's no record he ever stepped foot there. But a Joseph Awad Elementary School would fill in the gap.